If you'd like to sponsor Charlie, we will keep you up-to-date on her social calendar and her choices in companionship. 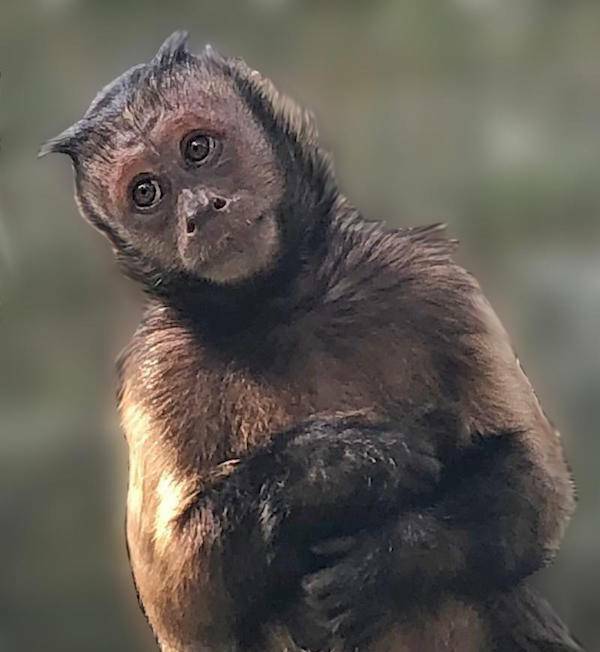 Charlie was an unexpected arrival at Jungle Friends last March when our Florida Fish and Wildlife Commission inspector confiscated an illegal monkey right here in Florida! Charlie's human had passed away and she was placed with friends of the family who were never licensed. They were happy to relinquish Charlie to a sanctuary where she could meet other monkeys. Charlie was quite shy when she first arrived however, she has settled in just fine. 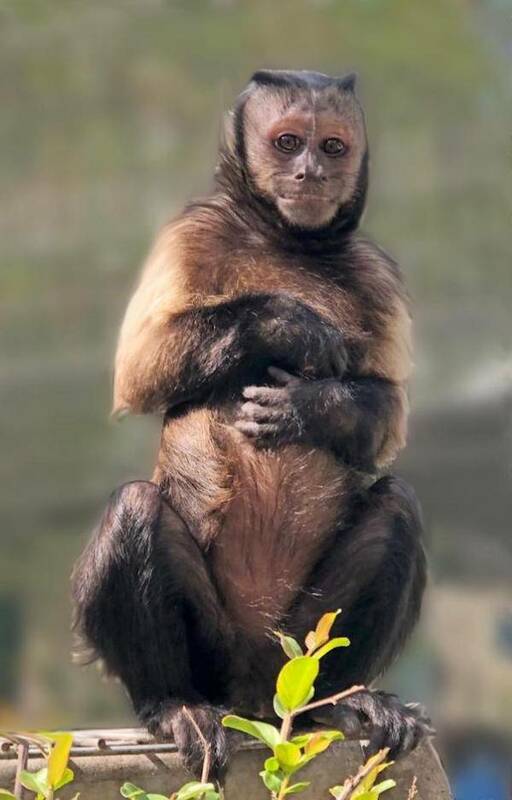 She is very sweet and has investigated every inch of her habitat and is enjoying all the attention from the other monkeys and our carestaff. In the picture above Charlie is making eyes at Dexter, one of her monkey neighbors. Zaira, Dexter's companion, doesn't seem to mind, but Xavier, who we just introduced to Charlie is not pleased. Charlie seems to prefer younger men and Zaira seems to have an interest in Xavier. Ah the trials and tribulations of matchmaking!